No medical studies have proven any side effects to nattokinase, but that’s not to say there are no dangers when taking it if you are already prescribed anticoagulants, if you have blood clotting disorder, or if you are a pregnant woman. If you class yourself in one of those categories, you need to read on! However, this is wonderful news if you want to use this incredibly powerful fibrinolytic enzyme to keep your blood pressure normal. And if you have blood circulation problems like I have (I wear a compression stocking on both of my legs to send the blood back around my body), it’s a real blessing, allowing me to live with less discomfort and pain. At one time I was prescribed warfarin, and I am really glad I was able to stop taking this dangerous medication, because I discovered nattokinase. Although I wear compression stockings to keep my blood flowing, my blood vessels still need assistance in helping my blood flow freely. This is one of the reasons I take nattokinase, twice daily. If you are currently prescribed long term warfarin, you should know that you are at a higher risk of a brain hemorrhage (please do further research or contact your doctor right away, if this is new information to you). You may also be surprised to learn that warfarin, although a stroke preventing drug, may actually cause a different type of stroke, called a hemorrhagic stroke. The great news is though, that warfarin is being phased out in people who are at high risk of arterial fibrillation (symptoms range from fainting, dizziness, palpitations and congestive heart failure) and is being replaced (or advised as an alternative) by newer, safer drugs. Although approved by the FDA, my reservation with this is really, how safe are these drugs in the long term. Remember, warfarin was also safe to use when it was first released. Time will tell, and this is certainly food for thought. But it is just another reason why the natto enzyme could be more readily used, because although it is not a blood thinner, nattokinase does dissolve blood clots, so it can certainly be used as protection against coronary heart disease. When Should You Not Take Nattokinase? Nattokinase is a strong anti-clotting protein that is perfectly safe to use, if you are a healthy person with no blood disorders. But you should also avoid taking it, if you are currently taking any kind of blood-thinning medication like warfarin, aspirin, heparin and ibuprofen (some of these are normally used for pain relief, but bare them in mind if you consider taking nattokinase). Your body does not need two agents acting in your cardiovascular system reducing the bloods ability to clot, as this could stop your bodies natural process of repairing itself. Using a combination of both of these can cause you serious bruising from even the slightest touch of your skin, just to give you an idea of how powerful nattokinase can be. However, your body does need an ability to coagulate (say, if you cut yourself) and if your blood is unable to clot then you could lose too much of it. Also, if you encounter a tiny hole in a blood vessel, your blood must be allowed to clot to repair these holes. If you are pregnant, nattokinase may be dangerous to you and your fetus. There is not enough known about the effects, or possible side effects of nattokinase, in pregnant woman. So if you are pregnant, you must consult a medical professional before you take nattokinase, and you should certainly refrain from ingesting raw natto food (the Japanese food where the enzyme originates). Conflictingly, if you are a woman with fibroids, taking nattokinase can help you conceive for a baby. Because the enzyme will break down those fibrin and collagen growths, safely disposing of them from the body. 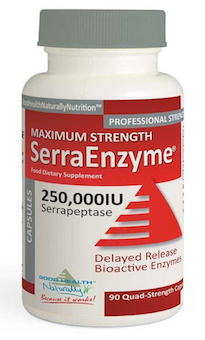 Also, if you have any kind of injury or trauma, then the best advice is not to take this enzyme. We know that nattokinase helps to thin the blood. So if you have an injury that is bleeding externally or internally like a stomach ulcer, then you should exclude it from your supplement shelf. The same also goes for any kind of surgery, even dentistry type of surgery to. 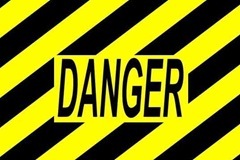 Any time your body is at risk of losing too much blood, you should avoid taking nattokinase. Nattokinase also lowers blood pressure, so if you are anemic or generally suffer from low blood pressure, then then the best advice is not to take it. It might further reduce your blood pressure, causing you nausea, dizziness and the possibility of you passing out. What Could It Do to You if You Did Take It? Have read of this article, if you do want to take it and want to know the correct nattokinase dosage. And to conclude, what are the potential side effects of taking nattokinase, if you are at risk of injury or take anti-coagulants? Again, if you are pregnant or are unsure if you should take nattokinase, always consult your doctor first. Nattokinase is the strongest plant based fibrinolytic enzyme (a purified serine protease) which has many health benefits for the average person, who want to help their blood flow more freely, and regulate their blood pressure. But you must be cautious if you have blood disorders, are pregnant, or are injured, because it can seriously affect your blood system, particularly if it is used with some types of medications, as discussed above. I have read that you can take them together but can you ingest them together on an empty stomach or do they have to be taken at different times? Together on an empty stomach, Karen. I am very interested in nattokinase. I had a major stoke 5 years ago at 45 caused by undiagnosed afib. I also found out I have antiphospholipid syndrome. Afib has been resolved and no recurrences. I take no heart medication, but I do take Eliquis and would love to discontinue it. My doctor refuses. They also said I had some narrowing in the left cerebral artery but my carrotids were clear. I wander if the narrowing may have been inflammation as I have RA? Anyway, what are your thoughts on natto to replace the Eliquis? I appreciate the information you provide. Hi Peggy, thanks for your message. I’ve just looked up Eliquis, and I think you nattokinase would be ok for you. Please don’t take that as medical advice, but as it’s an anti-coagulant, I think nattokinase would be it’s equivalent. As you’ve mentioned inflammation, I think you might like to consider taking serrapeptase as well. Please refer to our products page, where you can decide which might be better for you. I am a healthy 70 years old man but with permanent atrial fibrillation. I am advised by my doctor to take pradaxa. The fibrillation is almost no symtom. I have been taking paradaxa for 6 month. It is, like coumadin, a tough and dangeroous drug so I would like to shift to nattokinase. Any adviesd? Hi Abel, thanks for your message. If you haven’t yet started taking pradaxa, try a combination of serrapeptase and nattokinase first. I understand from many people with similar conditions, that this formula works for them. I have two questions. My mother is on daily aspirin with fish oil. She has a history of blood clots in her leggs, one of which became a PE. She previously was on Warfrin but was wanting to transition to more natural therapies. Still, taking daily aspirin prevents her from being able to take Turmeric and other herbs that may help with her severe adrenal fatigue and Hashimoto’s. She also has a soy allergy per food sensitivity blood testing. My first question is if Nattokinase is safe for someone with a soy allergy since it is ferminted? My second quesiton is what would be a safe protocol from switching from aspirin to Nattokinase and if she could still take her fish oil? Also would she be able to take adrenal herbal supplements (such as Ashwaganda, Licorice Rood, Rhodiola, etc) and turmeric for her systemic inflammation caused by Hashimoto’s? Almost all herbs seem to have some type of blood thinning effect. Even NAC says don’t take it if you’re on blood thinning medication. Hi Lorie, thanks for your message. Yes, nattokinase is safe for someone with soy allergies, because it does not contain any part of the soy bean, only the enzyme. Fish oil is also a blood thinner, or rather the omega-3’s in fish oil are. Personally, if I’m taking nattokinase, I don’t take omega-3’s, but I’m usually taking krill oil (much better for the body, than fish oil, as more of it is used and more effectively), so hold back on the nattokinase at these times for that very reason. I think Serranol would suit your mother, for the combination of nattokinase and curcumin. Also, Iodine, L-glutamine and a probiotic would be helpful. A dear friend has triple negative breast cancer, metastasized to lungs, brain and spine. She developed pulmonary embolism, and the docs stopped all treatment and sent her to hospice. They said blood thinners would cause her to bleed out in the brain. Would nattokinase do the same? I had several clots in my lungs, right/left arm. I was given (5+ bags of Heparin) and also Xarelto. I had heavy bleeding. The bleeding stopped when, I stopped taking the Xarelto. I still have a blood clot every now and then. I do not take any medications right now. I wanted to know if Nattokinase would help keep the blood clots from forming, and help with circulation. Thank you for your help. Hi Carolyn, thanks for your message. I think you would benefit from a combination of nattokinase and serrapeptase. You can either take them separately, or in one capsule such as Blockbuster Allclear (take a look on our products page). This will help to keep your blood system healthy. I am a 74 year old female….very active and “young looking”….However, while working at my computer I felt discomfort in my chest area and decided to go to the ER and the doctor said I was having a “heart attack”…I was so shocked I could hardly fathom it! It turned out that I had a coronary dissection (not sure of the terminology” but a tear in the artery which in turned caused damage to the heart muscle…I was told it could recover to 100% if it continues to heal, but it is doing so very slowly….The heart muscles wasn’t getting enough “oxygen” and that’s why there was damage….It wasn’t caused by high cholesterol although I have that condition nor a blood clot…It just happened and really frightening for me as I have always been pretty healthy…It came out of the blue! I get very bad nose bleeds because of nasal cosmetic surgery I had year’s ago and started getting nose bleeds because of the thinning of the nasal passages and now that I was just starting this Coumadin I am having major nose bleeds…Frightening to me!! !…My holistic doctor said Natto might be used instead of Plavix and Coumadin?….I know it also can cause bleeding but I can’t live my “life” with nose bleeds every day or so….WHAT DO YOU THINK?….Is there any hope for me? This is a very unusal problem that I don’t come across….I am extremely frightened by this all and don’t know what to do….Thanks! I am sorry to hear of your health problems, but I tend to agree with your ‘holistic doctor’. I would suggest a combination of Nattokinase and Serrapeptase, Blockbuster Allclear, which will dissolve any clots and help to keep your cardiovascular system in a healthy working order. I have Factor V Leiden. I had one blood clot 20 years ago which resulted in a pulmonary embolism. I have been on Coumadin ever since. I would love to quit it and take nattokinase instead. I do have high blood pressure which I keep under control with meds; cholesterol at 200 with no medication; lymphedema in one leg and arms. Do you think I would be a candidate for nattokinase? Hi Sanda, thanks for reaching out. Yes. I believe you would benefit from nattokinase. I don’t have anything in my research for your particular condition, but after researching it, I think you are indeed a perfect candidate. Please come back and update our readers in due course. I’m sure they would be very interested, as I get this question all the time! Thanks again and I wish you the best of health. Good afternoon Andy…..my husband has been diagnosed with Vasovagal syncope. Can Nattokinase be used for this? I am looking to treat the condition with and from a holistic approach versus synthetics. Thanks for your time and assistance in advance. I would suggest not to use nattokinase, as it may reduce blood pressure. And as Vasovagal syncope can affect the blood system in a similar way, I think this might not be the correct use it. Thanks, I will attempt to locate a holistic physician in Atlanta to assist with this matter. Hi Sandie, thank you for your message and may I first apologize for the delay in replying .. I completely missed your lovely comment. Basically, it was through poor nursing care. It’s a long story, but I was left lying bed too far too long, thus the DVT..! I hope your husband’s health improves very soon, and you find the right doctor to help him. Wish you both the best of health. I currently am taking 6mg daily of warfarin along with lisinopril for blood pressure. I am a vegetarian so fish oils are out for me. I desperately want to get off warfarin but as said so often, Dr. wants me to stay with prescription warfarin. My questions are as follows: If I stop using warfarin, should I begin to take the natto immediately or wait for a period of time? Also, what do you feel is a reasonable amount to take to replace the 6mg of warfarin? After heart surgery I was told that I developed afib and they advised a pacemaker. I am not going to have the pacemaker redone when the battery expires as they put me through an ordeal that I do not care to go through again, simply by refusing to listen to what I was telling them. I do cheat, out of fear of the side effects of the meds I am taking and blood pressure seems to be fine and they don’t seem to be to concerned that my monthly readings are 1 to 2 for my prothrombin, if I got that right. Just really want to know how to transition from one to the other and perhaps your thought about the taking the serap product as well. Your assistance and suggestions will be much appreciated. Thank you for your message. I am sorry to hear of your health issues, but it’s surprising what we get used to, yes? You ‘cheat..’, so I’m going to assume you don’t mind mixing things up a little! I do the same, but I don’t have any life threatening health issues right now (apart from poor circulation, which I keep under control..), and as warfarin stays active in your body for up to 5-7 days (I believe..), over lap by a couple of days! Of course, that’s just a suggestion, please don’t follow anything I say until you speak to your doctor first!! Good luck Ray, I wish you the best of health. Last April I had an unprovoked Pulmonary Embolism. I was taking a new anticoagulant, Xarelto for 9 1/2 months, my Hematologist and Pulmonary agreed that I discontinue as I was miserable on the drug with so many horrible side effects. It’s been six weeks off now and I still feel as if I’m taking Xarelto. I’m afraid this drugs side effects may be permanent. I’m currently taking vitamin E,D3,B6,B12,C,Tumeric,Bromelain,Omega 3 Fish Oil and two low dose aspirin 162 mgs. Daily. I have Heterozygous Factor V Leiden Mutation. I’m wondering if I should take Natto supplements as well or cut out something that I’m taking? Terrified of reoccurrence but even more terrified of long term effects of new anti coagulants! My Hematologist has never heard of Natto…of course. Thank you! Hi Charlotte, and thanks for the contact. Honestly, I think you are taking enough supplements to keep your blood healthy, so I would suggest not to take nattokinase as well. cholesterol . but because I was worry about the side effect of the medicine. i did not fellow doctor instruction to take my medicine regular,end up I got a stroke in year 2008.
my condition is not that serious. but recently i find my self having difficulty in walk.I felt my left side of the body is a bit numb.even I took my medicine for high blood , my condition did not improve. please advice what kind of Natto product should i take. Hi Tony, thanks for your message. I am sorry to hear about your health issues, I wish you a complete recovery. The product I recommend is the one I use, which you can find on our ‘recommended products page’ at the top. I have started taking Nattokinase for general cardiovascular health. I don’t have any specific health problems, and am generally in good health. I am also in my thirties and have never had heart problems that I know of. That being said, I sometimes suffer from anxiety that is kept under check by things like meditation and a few supplements. I also don’t normally have high blood pressure, but it does tend to go up if I am experiencing anxiety. Nattokinase was recommended to me by my mother, who also takes it. While she has not noticed any adverse side effects, upon taking the first pill, I felt anxious and could almost ‘hear’ the blood thumping through my body. Either my heart rate was elevated as well, or it certainly felt like it. This went on the entire day! I have tried to find out if these are common side effects, but the consensus seems to be the opposite. Have you come across this type of reaction before? I am trying to determine if I should pursue this supplement or whether it is not for me. Hello Lina, thanks for reaching out. I think you may be using nattokinase for the wrong reason! If your blood pressure is normal, you risk lowering it and if you don’t have blood specific problems, your blood may ‘thin’ which might be a tad dangerous. I think you might find magnesium oil a better option. I just heard from my son tonight who had a very bad break 2 weeks ago. He broke two bones in his ankle and two bones in his leg. They had to do surgery and put metal plates and they could not give him an appointment until today. So being in a half cast with a big bandage over it, he was not to put any weight on it, and he could not move much but he kept his leg up as much as possible. But unfortunately, he developed a clot in his leg, called deep vein trombosis, I believe. I was reading about nattokinase, and wondered if it was safe for him to use this after he comes off the coumarin they have prescribed for the next few weeks, and he might have to continue taking this for several months afterwards. I was wondering if taking Nattokinase would disolve the clot gradually. He does not have any problem with blood clotting normally, it is the result from the surgery and being sedentary did not help. I know that you can’t be responsible for what people do, but your experience with this product might be a good indicator. Thanks. Hi Nicole, thanks for reaching out. Yes, I believe nattokinase can help your son. This is the enzyme that I take, that prompted me to build this site. I too, albeit 13 years ago, had a DVT and I still suffer today as a result. Nattokinase helps me a great deal, reduces ankle and lower leg swelling, eases bruising and also pain. I wish you son the best of health, and a speedy recovery. Hello. I’m curious what you mean that you still suffer from the clot you had years ago. It didn’t dissolve with the Nattokinase and Serrapeptace? Do you suffer from the medicine they had you on? This concerns me because I’m trying to decide if I should take the xarelto my doctor prescribed for the small clot I got from a vein surgery I recently had or if I should stay on the Nattokinase and Serrapeptace I started two days ago. I felt nauseous and scared this morning because my dr told me I’ll be fine as long as I take xarelto. I also might have taken too much. 3times yesterday and also Vit. E, fish oil and aspirin. I might have overdone it. Your opinion would be appreciated. Sorry Laura, I have only just seen your message! Please accept my sincere apologies. I haven’t taken any anti-coagulation medication for many years, and would not take them personally. My recent problems only exist because I stopped taking the enzymes! As my legs had gotten so good, I stopped (foolishly..) taking them and woke up one morning realizing that my legs had got bad again. So I re-started. My feeling now, is that as these enzymes have allowed me to live a normal since I started taking them, so I will probably take them for the rest of my life. Have you signed up for our newsletter Laura? I have a new letter to go out soon, with photo comparisons of leg a month apart, after taking enzymes! The difference is quite amazing. Do you know of any cases natto being taken with Eliquis ? I have not come across that, sorry KayCee. Hello , my dad has been on lots of drugs ( statins , steroids and warfarin ) , he is recently come off the steroids and is just on warfarin and beta heart pill . He has lost lots of weight in the past few months , was a yellow colour though has got red cheeks on his face since coming off the steroids . Dads ankles and feet have become swollen but more worryingly he is very anxious , confused and has short term memory issues . The doctor has said she will organise for him to now have a better pill other than the Warafarin as he keeps taking too many in his confusion . My question is this , i think he may have side effects that have damaged his liver ( the doctor didn’t say this but i looked into it ) … do you think this will be ok to take the Natto is his liver is over detoxed ? Hi Nicky, thanks for reaching out. Sorry for the delayed response, I have been away for a little while. I would not like to suggest anything, and before following anything you read here, please consult your doctor beforehand. Having said that, as you’ve already gone ahead and started him on serrapeptase, adding nattokinase, they will compliment each other. But, be sure to record INR as this may ‘thin’ his blood too much, unless he ceased taking any other anti-coagulants. I wish you father the best of health, and a speedy recovery. My veins are sticking out my ankles and are very painful.Would I benefit from taking Serrapeptase And Nattokinase ? How much should I take?Feet are very painful after working eight hours standing. Hi Terry, thanks for reaching out. Yes, I think you will be pleasantly surprised by both these enzymes healing powers. Follow recommended dosages. I want to start taking Nattokinase. All the research I’ve done on it and its unclear if it’s a blood thinner. I am very active and wondering if I started taking this herb would I have to give up contact sports. Or does the herb work in an entirely different way then prescription blood thinners. Hope to hear from you soon. Unless you have coagulation problems, I don’t think you need worry. I play around with a little mma sparring, even when I take nattokinase. Hey Andy! Really great website you’ve got here. I am currently taking 325 mg Aspirin daily been doing so for about 3 weeks. I want to switch over to Nattokinase. Can I do so immediately or do I have to wait a certain number of days before I can take it. I look forward to your answer. Hi Doug, thanks for reaching out. I don’t personally have experience with taking aspirin and nattokinase together, and doctors seem to be disagreeing with taking them both together from what I can see (in other articles). Sorry I can’t be of more help, but I think it is a matter of personal preference as you need the anti-coagulant effect, but you don’t want to over do things or the combination will affect your bodies natural ability to clot blood if necessary. I don’t know that product perse, but I think you’d be better off with a serrapeptase/nattokinase combination. I am taking Serrapeptase and Nattokinase , both capsules in the same time, in the mornng, on empty stomach. I developed to my foot something like a cyst, hard and consistent , little mobile , painful , which not go away with any kind of medication ! I read about Serrapeptase side effects in some peoples with the same issue . Is this possible be from Serrapeptase ? I take it both Serra and Natto for Endometriosis and it helped much with pains and Endometriosis , but what’s going on with my feet ??? I am really deoressed of this problems, I have it since 10 days and is not stop in any way, I tried anti-inflamatory gel, pills, antibiotics, some Chinese herbs liquid for massage and nothing… no result. I will go to hospital to show to a doctor this sorrowful node / bone inflamed/ cyst or what ever it is, but I would appreciate very much yout advice here about Serrapeptase . Anyone experienced this issue ? I read some comments about this from peoples who had experienced the same issue as me. I am realy scared and I wish not stop Serrapeptase… At the begining, when I took the first tablets, I got a allergic reaction on chest, some dry cough, but then all this disappeared . But now my feet is really painful and that node not go away with anything… I will rest for Diabetis also, but this node appeared instantly, in one night and got it in the morning. The previews day I had nothing, no node, no pain in my feet. Please advice ! Many thanks ! Hi Aylin, sorry to hear of your troubles. I think the best thing you could do to discover what is causing problems, is to stop taking it, then if the problem goes away, you know ‘whatever’ is causing the pain etc. Hi Mike, I can totally relate, although I never found nattokinase for a few years after my own DVT. If the warfarin is not helping, and if it is safe to do so, try taking nattokinase and serrapeptase together. Dear Andy. My mom is 83 years old and has had her left leg amputated at the thigh 3 weeks ago. Her vascular surgeon has said that her arteries are too blocked with very old clots. Can nattokinase help her at this advanced stage? Sorry for the delay Colette, I have been away on vacation. I’m not sure how long to leave after this type of surgery, but my best ‘guess’ would be that nattokinase could help your mom, sometime in the near future. I am 33 yo and 18 weeks in my 6th pregnancy. I never had an issue before, great health etc. I had a stroke when I was 7 weeks, docs best guess is a blood clott that got through a PFO in my heart and went to my brain. All the docs want me on Lovenox injections twice a day. I obviously don’t want to do that but I don’t want another stroke either. I take fish oil, vit e, flax oil, colloidal silver, and sometimes cayenne extract, have the stockings and practice “grounding”. I would prefer to just take one dose of the natto daily. I am unable to find any info if it will be OK during pregnancy. Of course my doc think I am nuts and should at least take a baby aspirin daily but there are side effects to that too. I am so tired of second guessing myself. I guess I am hoping you will reassure me its OK to take during pregnancy or no more dangerous than Lovenox or daily baby aspirin. I appreciate any advice. Hi Karen, so sorry for the delay. As far as I am aware, even from the time of writing this article, there is still not enough research done on nattokinase, regarding pregnancy. Advice is to not take it while you are pregnant. Hi John, thanks for the contact and your interest. I believe a combination of both serrapeptase and nattokinase could help you. Maybe try weaning off the ‘drugs’, while increasing the enzymes. Monitor your blood pressure closely, and look out for any differences in your blood, ie – if you cut yourself, and it takes an abnormally long time for the blood to clot, then you know your blood is healthier than it probably is today, but be mindful to adjust either drugs or enzymes to normalize your blood flow. Is it possible to experience any hyperactivity or jittery feelings on Nattokinase or Serrapeptase? I can’t live without either… Factor five. I will be going in to get tested for hypoglycemia, diabetes and thyroid imbalance. Reluctant of course because of my disdain for pharmaceuticals and lack of trust in western medicine! Hi Andy, you mentioned previously you cycle Natto with Fish Oil. Can you share your schedule with us? For example, do you do Natto every other day and Fish Oil daily? Hi Gen, thanks for your message. Hi Greg, thanks for coming back with an update. I agree with your mentioning that the medical community don’t want the public to know about alternative therapies. So Sad. Is it safe to take nattokinase in /or in conjunction with serrapeptase in place of Xarelto? Yes you can take both together. I do not know what Xarelto is, sorry. A good friend of mine has multiple blood clots in the lungs. Last it was checked his INR level was 1.8. His Doc. didn’t want him to leave the hospital until it was up to 2.5. But she was replaced for whatever reason and my friends new Doc released him. He is now on Warfarin and has also been given “Nitro” which I am assuming stands for Nitroglycerin (the “Nitro” is to be taken when he experiences chest pain.). I’ve been doing a lot of research on the herbal front and I’ve concluded and really really hope that Hawthorne Berries, Nakkokinase (or maybe even Nattozimes Plus? ), & possibly Serrapeptase will be what destroys these clots and keeps them away. He is currently at the doctor as I type this and I’ve already asked him to inquire about these herbs and the effects and etc. Doctor number one said taking Natto & Hawthorne with Warfrin would be perfectly fine. I however strongly disagree and actually hoped that Natto could replace Warfarin. I honestly don’t believe the doc. even knew what any of the herbs were much less what they do. What are your thoughts? I recognize that you are not a health care professional but I do respect your experiences and your take on Nattokinase! Thanks so much for your time. Hello Bre, thank you for your message. As you say, I’m not a doctor, but personally I don’t believe it wise to combine too many blood thinners. I’ve cut myself before now, while taking a higher dose of nattokinase and it took a very long time for the cut to ‘clot’. If this were internal, this is obviously dangerous. But, if you read the previous comment, which was a similar question – there is new expert opinions that say that nattokinase can be taken while taking warfarin. There is still so much research needed on this type of natural product to put these ‘conflictions’ to be once and for all. Having said this, if your friends INR is being taking regularly, if problems did occur, they could be rectified and doses adjusted to ensure coagulation is normal, I feel without much concern (providing there is no internal or external bleeding). G’day Andy, I have read with interest about Nattokinasse. I’m a lifer on Wafarin after a second clot in my guts. The first was in my Mesenteric Portal vein which is now totally occluded and another between my Spleen and portal junction but still flows blood. My second clot occurred while on Wafarin for no apparent reason and I am now a mystery to the Hematology Experts. So I am curious as to your thoughts on replacing Wafarin with Nattokinasse and possibly Krill oil as well. I just have the feeling that my health is on a steady decline taking wafarin and I want some quality of life back. I should add that I was a avid cyclist before the second clot but I now struggle getting through the day let alone ride a bike 40-50 K’s. Hi Lionel, thanks for the message and I am sorry to hear about your troubles. I can partially relate. 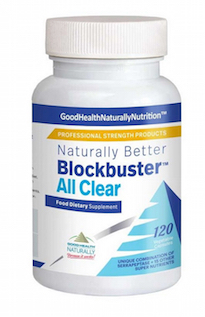 I think you could benefit from a combination of nattokinase and serrapeptase, maybe try ‘Blockbuster Allclear’ from Good Health Naturally. There is conflicting research of late, suggesting that nattokinase can be taken with warfarin. But, most information found anywhere will declare (even on our site), that they should not be taken together as the potential for overly thin blood can cause further problems. However, krill oil is also a ‘thinner’ to a degree, so you may want to add this at a later date if you are to remain on warfarin for the time being. The nattokinase will dissolve the blood clot and help blood flow, the serrapeptase will eradicate any waste material. That being said, if you’re at a loss, and unable to pretty much move freely, then as long as you are monitoring your INR, you ‘might’ be ok. Of course, the other element to watch out for is that your blood pressure doesn’t decrease, to a dangerous level. Good luck Lionel, I hope this helped. Please come back and let us know how you get on, anytime in the future. A close friend of mine has recently contracted CHF from a virus. He also has developed a blood clot in his jugular vein, blocking flow 100% and was put on twice-daily injections. I don’t know what meds he might be taking for the CHF, but would like to know if Nattokinase reacts with meds other than blood thinners. I recommended it to him because of my past experience with DVT, being put on Coumadin and Lovenox, and deciding I didn’t like the list of side effects that went along with those drugs – I came across Nattokinase and it worked wonders for me. I apologize if this subject has already been covered in earlier posts. I believe the only thing to be concerned with, relating to other medication, is anti-coagulation. I don’t have anything contrary to this, in my research. I have low blood sugar and low normal blood pressure, but my doctor put me on Nattokinase because my fibrinogen level is high. The dosage was 3 am and 3 pm but I stopped taking it because I felt awful on it, dizzy and very weak and shaky. Is this a normal side effect and do I need this stuff. I also take a lot of fish oil. Hi Evelin, sorry to hear of your problems. If you are taking a high dose of nattokinase, plus a lot of fish oil, I think your blood may be too thin (dangerously in fact) if you are having dizzy spells. Try stopping the fish oils for a while, and see if things improve. I am surprised your doctor let you take high doses of both! She has also been taking 2 Chlorella tablets a day (250mg each) to assist with her coagulation. Should she still continue with this as normal when she starts taking Nattokinase ?Or should she avoid it as well as other things like garlic, and parsley ? I appologize for the long message, and for asking so many questions. I really dont have any one to ask, and dont know who to ask to be honest, because Drs. insist for her to get the testing but she cant do it. So there is really no way to know if the clot is increasing in size, or if it has stopped bleeding ( which I the doctor believe it has, because she hasn’t had any bleeding since, and before her surgery , they did a coagulation test and blood test and everything was normal, her coagulation was actually great. ) I have never heard of blood clots and worse in the brain! And I feel overwhelmed and with lack of knowledge on the subject to be helpful. I would really appreciate all the advice that you could give me. Thank you! Hello Claudia, thanks for the messages and sorry to hear of your mothers problems. If the blood coagulation tests came back as normal, then I don’t see why she could not take nattokinase (click the image in the sidebar for recommended brand, which I also use for a blood clot I had in my leg). The recommended dosage is one capsule per day, but I have taken 2 previously with NO problems, although my blood took a bit longer to clot (when I cut hand one time). Also, you may want to consider serrapeptase (again, I am currently taking this to help scar tissue removal which got worse recently). 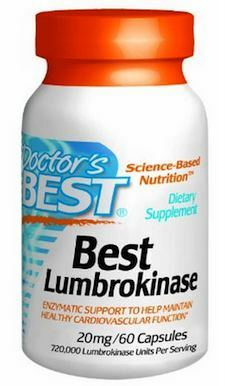 It compliments nattokinase, both are organic and have no side effects (apart from coagualation effects). Please note, that I am not a doctor, merely a natural health enthusiast, and I would recommend talking to a medical professional before following my advice (disclaimer). I do hope your mum can get some relief soon, I do think this will help. This past October , my mom fell off the pool chairs while sleeping and hit her head (above her right eyebrow). She had some pain and swelling, but at that time, there were so many things happening that she ignored it. In comes November, and her right eye starts swelling, and her right ear bleeds. She thought it was something to do with air plane pressure (a lot of traveling) so she got her eyes checked and her ears checked and they told her everything was ok, that maybe it was an allergic reaction.. or stress reaction. She was concerned because she also has an aneurism, but since she was told not to worry she let it go. Now , mid January, she travelled back home (outside of the country) she got checked and she was told she has a blood clot where she hit her head and she needs to perform an MRI and an MRI with contrast to determine where the clot is. Unfortunetely, she is unable to have to MRI with contrast because she is allergic to many different types of medicines (including aspirin , penicilin and etc) so her changes of getting a severe allergic reaction are extremely high. So her DR. prescribed her anti inflamatory medicine (because some of her veins in her right arm appear to have swollen and she has blockage already). From the research that I have been doing online, I thought they would off prescribed her an anticouagulant or a blood thinner, because the swelling is due to the clot, so in order to reduce the swelling you need to get rid of the clot… so I started researching for a natural product for her to take and Nattokinase seems to be a great option for me. (My guess is that they didnt give her the anti cogulant because she didnt do the MRI with contrast). Is there a specific brand that you recommend? Or a certain amount of dosage? Any things that we should be aware when buying Nattokinase like unnecessary added ingredients etc? I would like to purchase it online and send it to her for her to start taking it. However, she just had surgery (12 days ago, for something else and unrelated) but she still has stitches (will be removed next week) how soon is it safe to start taking Nattokinase? I am 47 years old and I am on Warafin for blood clot in my small intestine. I have been on this medicine for about 6 months now and I am having trouble keeping my INR in the range of 2.0-3.0. My numbers are between 1.0-2.0. I am taking 2 mg. I also have artery disease, heart attack at thirty one, five stents and three balloons. I will always need a blood thinner, but can I take natto to get off Warafin and should I keep taking it when blood clot is gone? And if so, What is the best way to ask my Dr. to change to natto? Hi James, thanks for your message. You will read several comments throughout the pages of this site, about people’s experiences with warfarin and nattokinase. It does work, and very well as a blood thinner. However, I am unsure you will find many doctors that are ‘open’ to the idea of swapping a ‘drug’ for nattokinase. I do hope things will change in time, but for now I feel it would probably be your own decision to use nattokinase instead of warfarin. I am taking nattokinase for blood pressure contol. I read in the blog chain that you take a cycle of nattokinase and then a cycle of omega-3. What is the rationale? Can you tell me the cycle – how long to be on for each. And what is the proper dosage of the omega-3? Thx. Hi Karen, thank you for the message. Like Nattokinase, omega-3 is a natural blood thinner. You may come across a few people in comments on other pages that take both together, but my preference has been to take them seperately to avoid any ‘over-thinning’ of blood. I take krill oil, which is one capsule per day. I have low blood pressure. I am taking one nettokinase a day with 3 teaspoons of fish oil. Is this ok to do or should I hold back on something? Thank you for all your excellant information provided re: Nattokinase. Recently diagnosed with 30% blockage in the artery in my right leg, ( swelling ). Had sonagram performed, no blood clot. While Nattokinase may increase the circulation, can it possibly help dissolve the blockage? Hi Rich, thanks for your message. Yes, I think you could benefit from using nattokinase for any clotting problem. I’m 26 and had a csection in January. A couple weeks after started having a pain in my left calf. I went to the ER. They did an ultrasound and xray and didn’t find anything. The pain’s still here 7 months later and it’s getting worse. No swelling or bruising. Would it be safe for me to take nattokinase? And would I have to stay on it? Or could you wean off it w/o worrying about clotting? Thank you. Hi Deanna, thanks for your message. If you’re not taking any kind of drug or blood thinner that would interact with nattokinase, then yes, nattokinase could probably help. I don’t stay on nattokinase permanently, I cycle it with high doses of omega-3’s. I don’t wean myself off nattokinase. I would like to take natural bloodthinners instead of the coumadin I now take. What supplements could I take along with coumadin and without coumadin under a doctor’s supervision, of course. I am trying to raise my INR naturally instead of increasing my dosage of coumadin. Please help. Thank you. Hi Elizabeth, thanks for your message. Recommendations for natural blood thinners, are that you don’t take them if you are already taking coumadin. You risk blood becoming too thin, which is dangerous. Otherwise, nattokinase and serrapeptase together would be your best choice. Please understand that I am not a doctor, so you would need to discuss your options with your own doctor. Four years ago I developed Afib. My doctors wanted to put me on prescription blood thinning medication. After much research, I decided to go with nattokinase and serrapeptase, the latter for clogged arteries. I assume it is working as I have not had any clots or strokes, or whatever the potential damage from AFIB can cause. Unfortunately, I developed an AAA anurisum and had to have a recent, June 11, 2014, open repair. A week before the procedure I stopped taking all supplements. While in the hospital, the cardiologist insisted on me taking coumadin, at least until August when they will try Ablation to fix the AFIB. I explained to him that I have been taking nattokinase, aged garlic exrtact, and serrapeptase. He had no idea about them and just looked at me and said, “Where are the studies to prove it works?” So, in order to have him release me from the hospital to go home I had to agree to take the coumadin. As soon as I got home, I switched back to nattokinase. However, I have now learned that it should not be taken prior to, during, or after surgery. So, it looks like I may have to take the coumadin, after all. I really don’t want to take that junk. My question is how long after surgery should a person wait before resuming nattokinase? I can’t find an answer to this question anywhere. Thanks for your message, Lee. Sorry to hear of your troubles. May I first wish you a speedy and healthy recovery. I love your doctors near ‘denial’ of the benefit of nattokinase, but I guess that would be most doctors replies because they tend to rely on drugs! There seems to be varying opinions about timing. Prior to surgery, you are right – the blood must not be too thin. But post surgery, I’ve read from a week up to a month, to re-introduce it back to your system. The latter seems to contradict the recommendations for coumadin mind you, a month seems way too long. If I find any more information, I will repost it here for you. I have tested positive for one copy of the G20210A mutation after suffering a PE. I am on warfarin for life. Do you know of anyone taking natto in lieu of warfarin to prevent DVT. Hi Tom, thanks for your message. I don’t personally know anyone, but I have read stories (I can’t remember where, sorry..) about people using nattokinase as a preventative. In an extreme case such as yours, I think you would need extensive discussions with your doctor about this, before making a decision. And maybe consider using krill oil as well as natto, as this too is a very good, natural blood thinner (if you would like more information on krill oil, please use my contact form and I will send you some information). Hi Andy. I have a 17 yr old daughter who was diagnosed with an unprovoked clot this past January. She was in hospital for a week on heparin and then home on lovenox for 2 mos and now on Coumadin till July. She has swelling still in her leg, wears a short stocking daily and long one for travel. We have been researching her long term outcomes as she is very active in sports. Hockey, volleyball and skiing. The Nattokinase looks great. Have your ever known someone so young to take. We are going to her specialist in3 weeks and hope to bring this information to him. Anxious to hear your thoughts. Thank you for contacting us, and I am sorry to hear of your daughters clot. Glad to hear she’s wearing the stockings, my own are a permanent fixture because I sit at my desk for up to ten hours a day! I think if I had an active job, I would not need to wear them so much – just for long journeys etc. I have not come across information pertaining to nattokinase and children, I’m afraid. However, as there are no side effects, other than for someone who is already taking blood thinners, I don’t foresee problems for her. But that would be for you to decide with her doctor. One thing to be mindful of, is that because she is very active with sports, the inevitable ‘bumps and bruises’ from sports such as hockey, may worsen or cuts may take longer to clot and heal than normal, when using nattokinase. Sorry I could not have been more help, I wish your daughter (and yourself), the very best of health. I have been taking natto with Serrapeptase for almost a year, 6 pills a day of Nattokinase alone. It is supposed to help with the pain from endometriosis and adhedsions, both of which I have. I also take 4 advil at a time, though I have been trying to cut back. I thought the enzymes were helping, but the last 3 weeks I have been in constant pain and nothing helps. I think I need to quit taking the enzymes, this article scared me. I was researching side effects and both enzymes are listed as blood thinners. The mega doses I’ve been taking, combined with lots of advil is probably not safe. Hi Angela, sorry to hear of your problems. You are quite correct about taking nattokinase and advil together, this is very dangerous as your blood will be way to thin. If you were to get a serious cut, or worse, the clotting process would be drastically affected. Also, taking too much advil will likely affect your digestive system, detrimentally. I would advise to seek your doctors advice and explain to him/her about the amounts of both substances, which you’ve been taking. I am a huge advocate, as you will have read here, of nattokinase and I hope that once you’re over this ‘blip’, you will be able to take it again, as I do, to protect your blood system, and more. 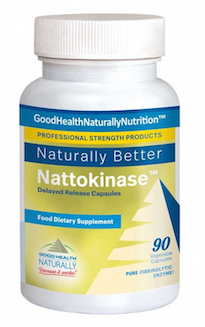 It is actually great to hear that your doctor has recommended nattokinase, instead of drugs. Come back and let us know how nattokinase is helping you in daily life. Thanks for your comment. Hi Cathy, thanks for your message. Its great to hear of a doctor recommending nattokinase, in fact its pretty unusual in my experience. Personally, I think taking a complete bottle of nattokinase is completely ‘barmy’, your body could not cope with that much and it would definitely affect your blood system in a detrimental way. The most I ever took was one capsule than the recommended dose. 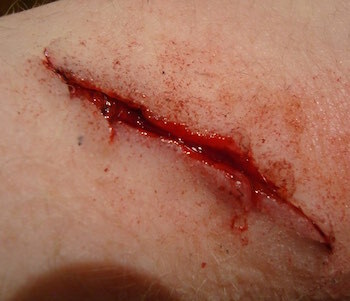 This was enough to thin my blood, so that it was problematic, ie when I cut myself, my blood took too long to form a clot. Regarding your phlegm issues, I think serrapeptase would help you. You can take nattokinase and serrapeptase together, but if you do, you should refrain from taking aspirin or anti-coagulants. Please refer to our disclaimer at the bottom of the page, I am only a health enthusiast not a medical professional. Thanks for getting more word out about Nattokinase!! I’ve been taking nattokinase for several years now. I am hetro/combo for mthfr and also have protein s deficiency. I have not never had a clot I’m 54 yrs and have been taking it around 6 yrs. before that I took asprin.
. There are people taking nattokinase with Coumadin (my mother is one of them). Natto the food has a good supply of vit k which is very much needed but is a problem with Coumadin (warfarin). The nattokinase pills do not contain vit k at least the ones I’ve taken don’t. My mothers pt/inr has actually stabilized more sence she started taking this. She takes ( 1 )100mg pill twice a day away from food. She still will not give up the coumidin because without it her pt/inr reading is 1 to 1 1/2 which is normal but not in the 2-3 therapeutic range that Coumadin keeps it in. Coumadin does not disolve clots, it thins your blood so that it isn’t as likely to form a clot and when a clot is there already, it keeps it thin (if you can keep the numbers right) giving your bodies natural clot buster (plasmin) more time to do its job. Nattokinase works like plasmin and disolves unnecessary clots without breaking off chunks that go to heart brain or lungs. I would like for my mother to be completely off Coumadin but she’s still afraid to. She does take a low dose at least though and getting her pt/inr checked weekly makes her feel safe. She has had many dvts, and several embolisms and hasn’t had any after taking Coumadin so she’s afraid. She has had mini strokes/brain bleeds after Coumadin and prior to nattokinase. Her mother died on coumidin with a filter in her lungs to keep clots out as she to had many dvts and a couple of embolisms. My grandmother also had very swollen ankles and later her legs which would ulcerate and weep fluid. My mother had started having the same issue and was diagnosed with lymphedema which meant compression stockings and trips to the clinic daily for lymphatic massage. Her incurable lymphadema is gone now which the only thing different is she no longer takes Norco for her rheumatoid pain or that the nattokinase also took care of this by giving more blood flow to the feet. In all fairness she was takeing the nattokinase for almost a month when her ankles swelled up again. She than quit her pain med and they went down on their own. They do have other test that if someone wanted to get off Coumadin and on to nattokinase medically supervised you could but it would be hard to convince a doctor to take you off of a fda approved drug and put you on an enzyme that most have never heard off and order what would be a unnecessary test and bill insurance. Nattokinase will most likly never be approved because it can’t be patented. This is the only way a drug company can get back the money that the testing and proving up cost which is millions. It’s also recommended not to take it before or after surgery. I stop taking it 24 hrs before and resume 24 hrs after. I am recuperating from back to back knee surgery and was much more worried about a blood clot due to inactivity vs hemorrhaging. When I first started taking this I noticed that my blood was a little thin. I have horses and cut myself frequently working with them. I also was drinking 2 to 3 drinks a day and would take 3 asprin when I had a headache. Thank you for sharing your story on our site. I think anyone reading your message can easily see how beneficial nattokinase is to them if they suffer the same kind of problems as you and I (and your mother). Yes, it is a shame that this enzyme isn’t FDA approved, as it could help so many more people than it already is – without the nasty side effects of warfarin. I have a friend that is taking warafin for a clot in her leg after a knee injury it runs from her ankle to mid thigh she has been taking it since Oct gets her blood checked about every two weeks her hair is falling out more than before sore muscles manly upper arms and she h as ridges on her toenails and finger nails we are looking to find something that isn’t rat poison is nattokinase an option? Yes John, Nattokinase is an option. I take nattokinase for a similar reason – blood clot in my left groin, which left me with poor circulation, bruising and a lot of swelling. My symptoms are virtually non-existent now, although regular exercise still plays a part in therapy. Thanks for your message, Riccardo. Checking with your doctor before you decide to swap nattokinase with one of your aspirin tablets is best. They do not mix. I’m sure your doctor has heard of nattokinase, if not please refer him to our site and the links contained therein. To obtain nattokinase, please come back to our site at any time and just click one of the images which will take you to the page you need. We wish you the very best. And please contact me again if you require further information. Can nattokinase be taken for blood thinner in place of aspirin with atrial fib? Also with Hawthorne, Cheyenne, gingko, krill oil turmeric, ,etc.? I would not like to comment G. Bridges. I hope you can appreciate that I am a health enthusiast, not a medical professional. My recommendation would be to speak to your own doctor about this, because nattokinase does thin your blood and lower blood pressure. So I am not sure if it would be wise to use nattokinase in your case.